This is another image from my recent trip to Shark Valley here in South Florida. It was only one of a few birds that were active near the Visitor’s Center. However, it stayed quite a while on the trunk of this tree. I was hoping for a fishing expedition, but the heron found an area behind the shrubs to fish and was well out of my viewfinder. There were other birds there for me to see similar to my last post of a green heron. I will continue to search for more photo opportunities while here in Florida since beach time is limited do to colder weather than expected. 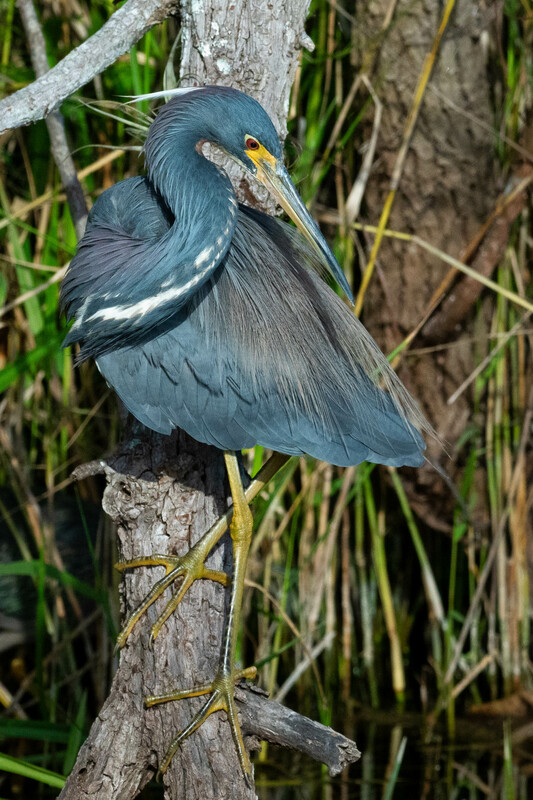 I listed this as a Tricolored Heron. I believe that is the case but if one of my Birding friends would tell me otherwise, I would appreciate your comments. Enjoy!